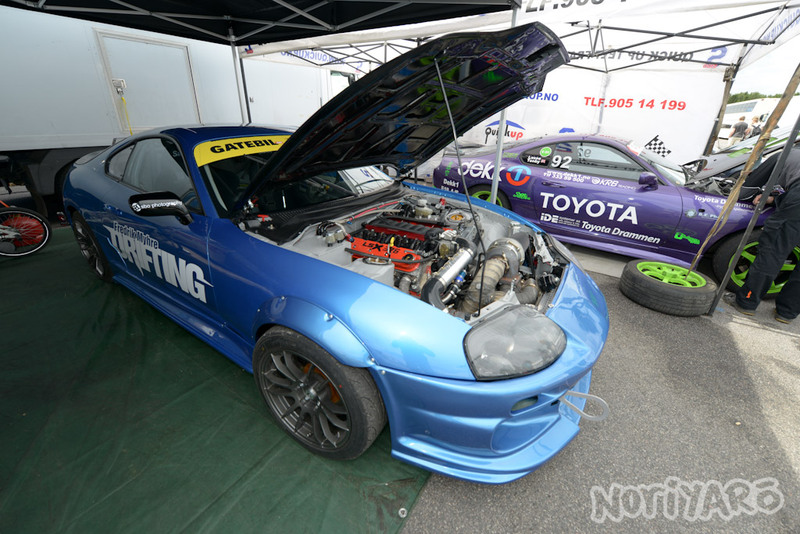 Here’s part two of the time I went with Tsuyoshi Tezuka to Sweden last year when he was a guest driver of the Drift Monkey team. Anders Klerud arrived the following morning with his matching Supra. 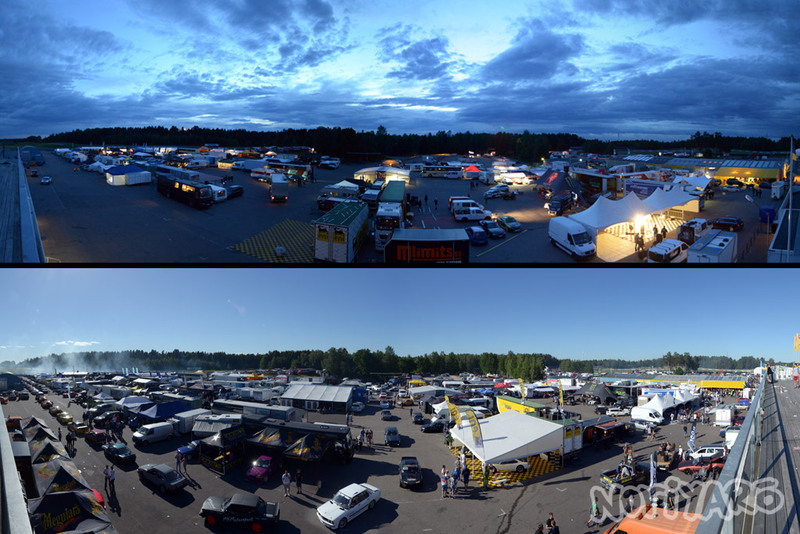 Here’s a comparison of the pits the night before, and during the actual event. 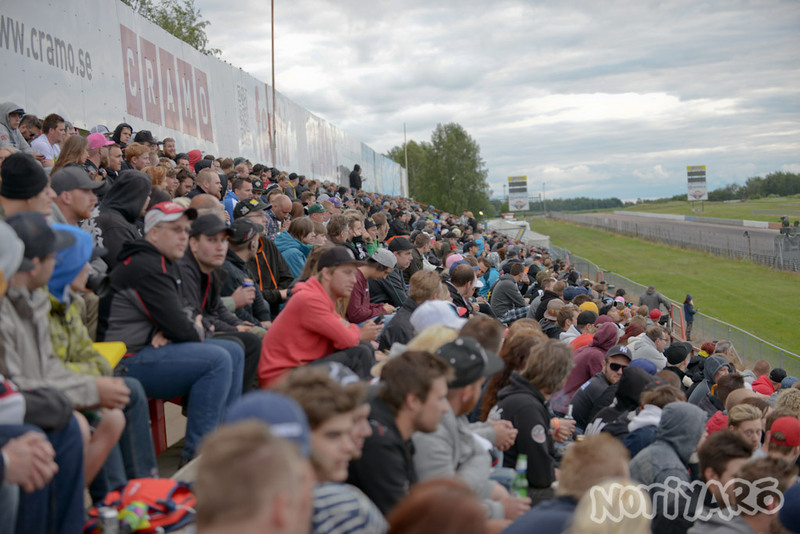 The queue to get out on the track was at least a couple of hundred meters long, and this wasn’t even the main Gatebil event of the season. Tina and Tine setting up the team merchandise. I was surprised at the volume of stuff they go through at these events. T-shirts, hoodies, sunglasses etc. 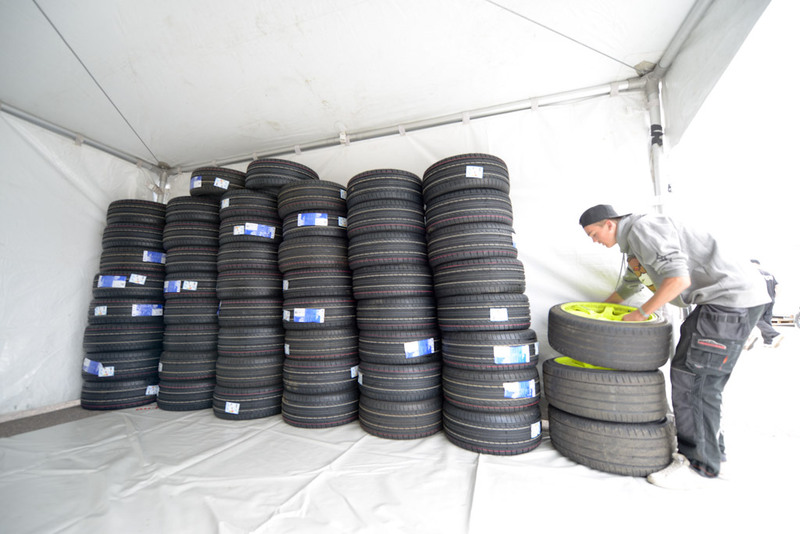 The tyre supply for the three cars over the weekend. The car inspections weren’t as tough as I expected, but there wasn’t really anything wrong with the Driftmonkey cars. 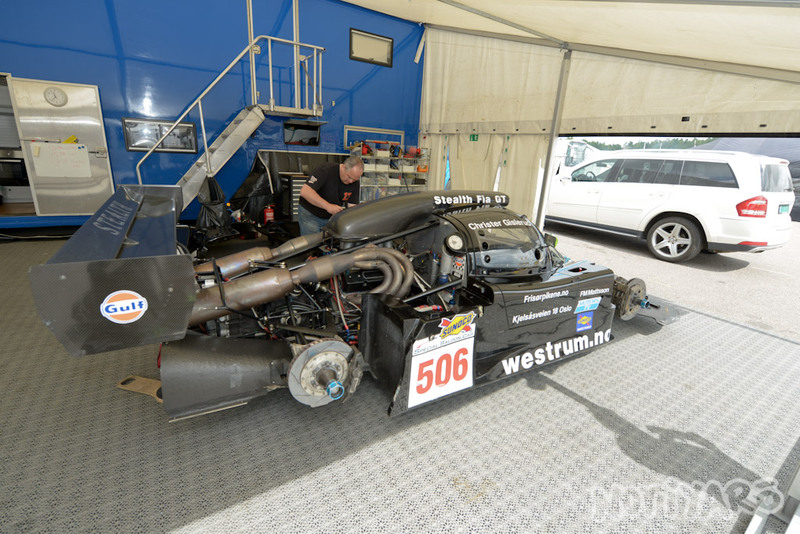 A little look at the rear-mount radiator and fuel tank set-up in the cars. One for each day of entry, one for drift class and one for the drift pro class, if I recall. This guy Jens usually works as a baker, and he brought along trays of skolebolle, which are these custard coconut roll things that are apparently a staple food at Norwegian schools. This reminded me of the custom cruising cars you see at Summernats in Australia. 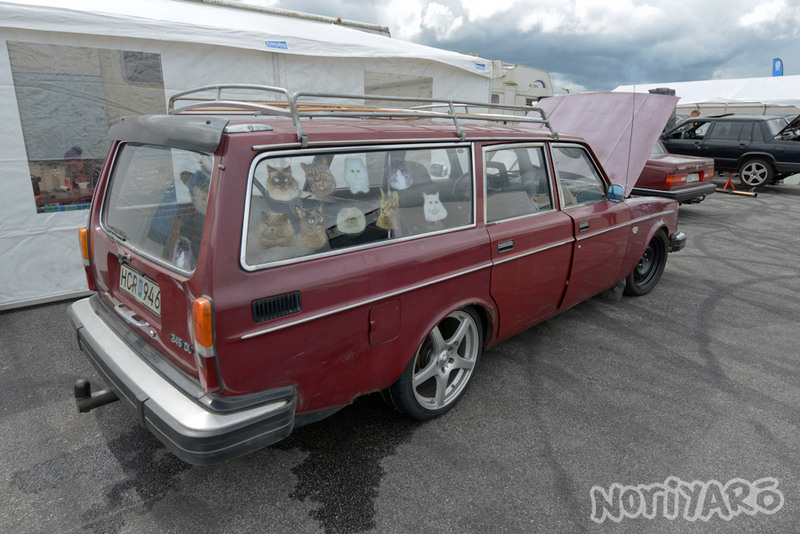 This being Sweden, there were lots of Volvos. 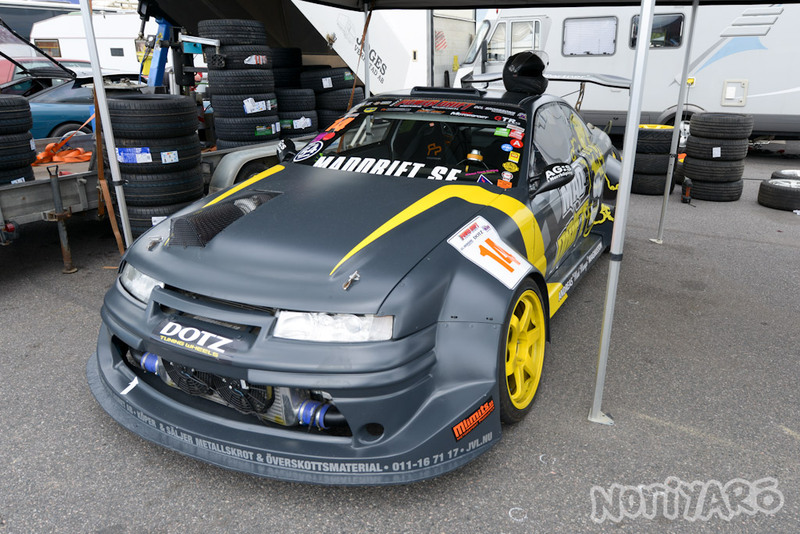 Never in my life did I think I’d see an Opel Calibra modified as insanely as this. 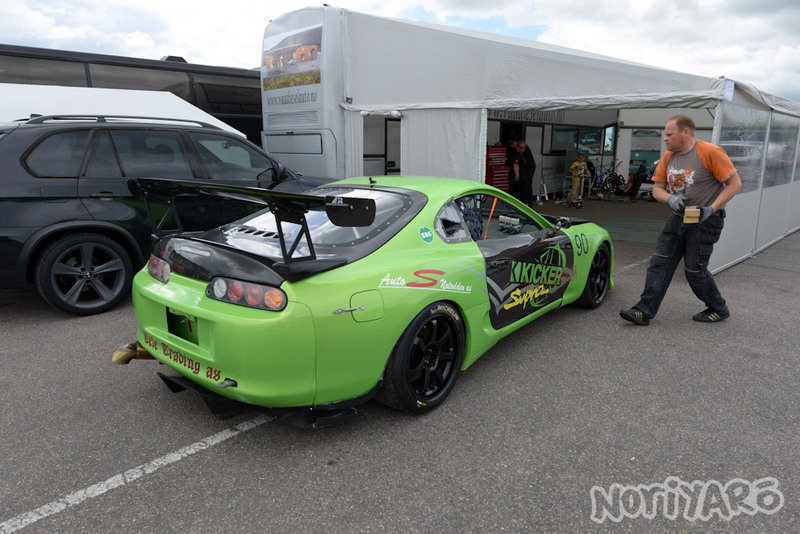 Supras are still the dream drift car in Scandinavian countries. 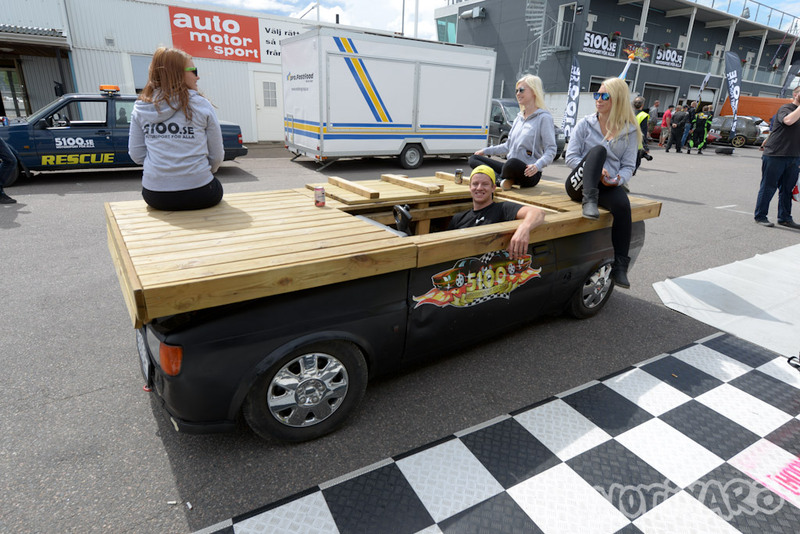 The average fabrication level on cars at Gatebil events is quite high. I’m told it’s due to the long winters and heated garages and not having anything better to do. Spaceships are also welcome at Gatebil. 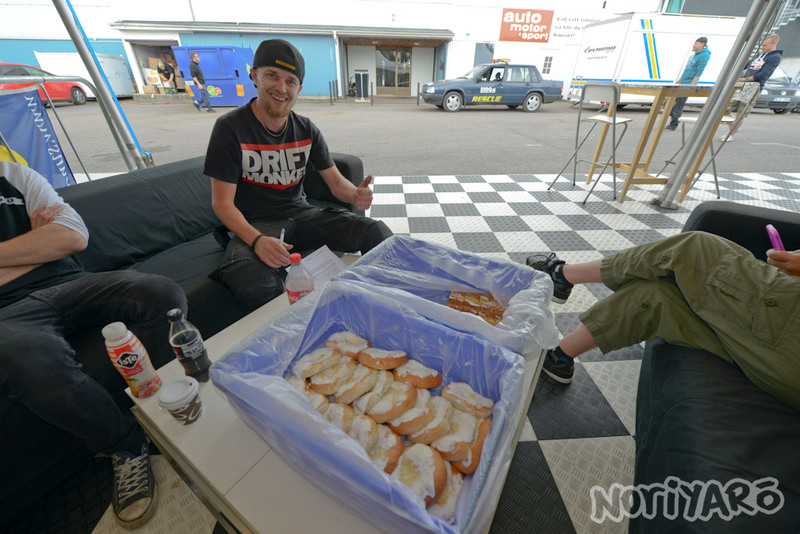 Most of the drivers that enter Gatebil also take a “power in any way possible” approach to their builds. Rear-mounted radiators means lots of room up front for stuff like a musclecar-style turbo setup. AE86 street cars are apparently ridiculously rare in Sweden. I think they have to be imported from Germany or something like that. Yep, those are cat stickers. This car was also an entrant. I think Sindre realised why I was talking the photo. 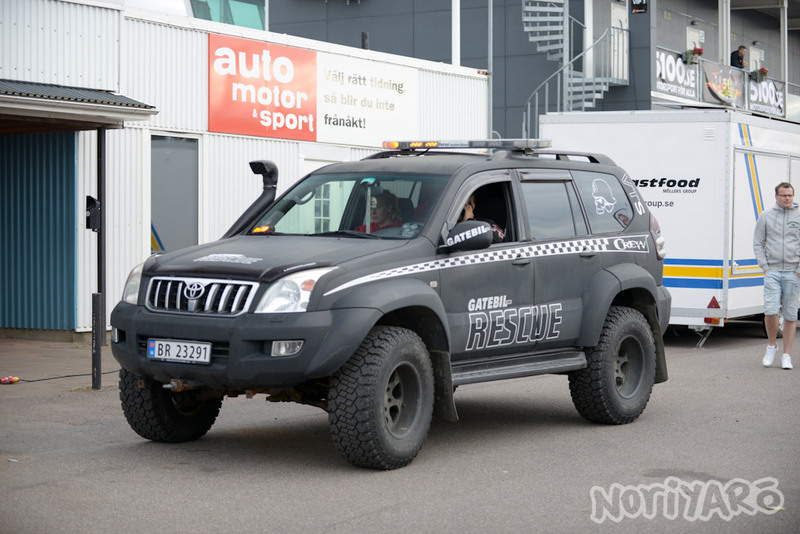 Another Arctic Hilux, this one serving as a recovery vehicle. I had to look this up. It’s a Stridsfordon 90. 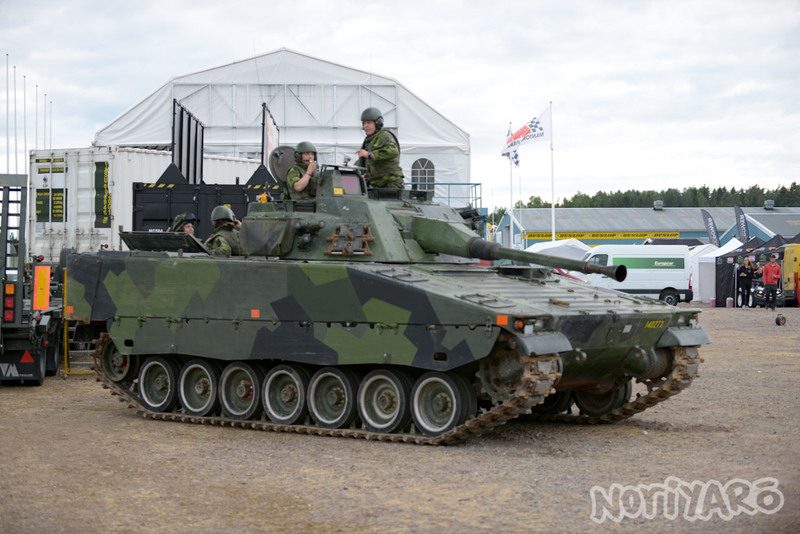 It has a 40mm Bofors cannon and can carry six troops. 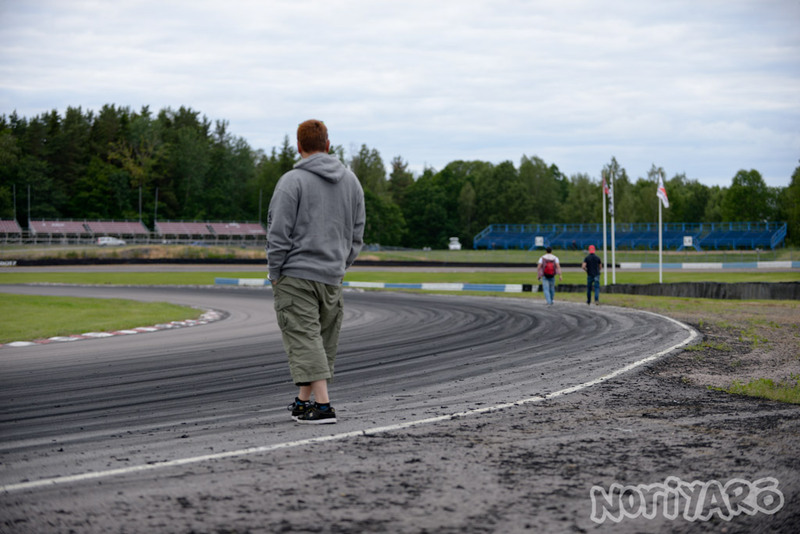 Anders on the grandstand corner of Mantorp. As usual, the Driftmonkey team concentrated on getting all three cars to drift in formation together, but it was sometimes hard to see them for all the smoke. Tezuka checking out the main corner’s entry line. The crowd waiting to watch the stunt show. 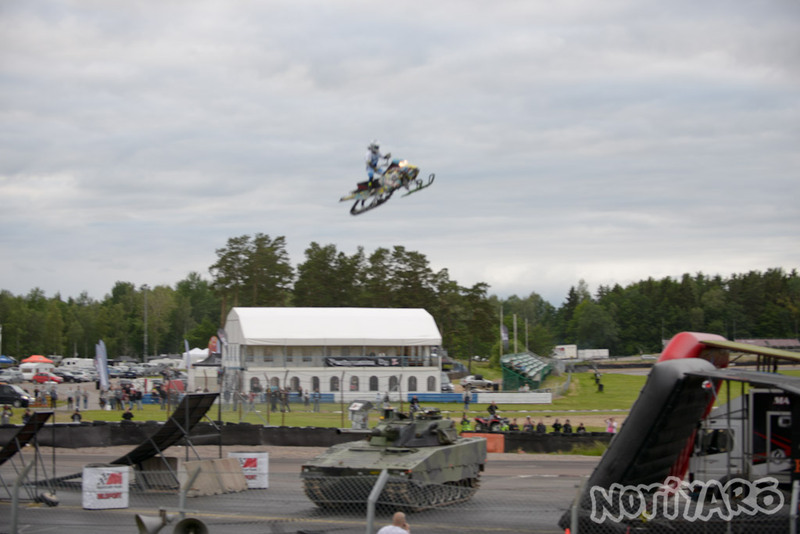 A snowmobile jumping a tank (it’s not really a tank). 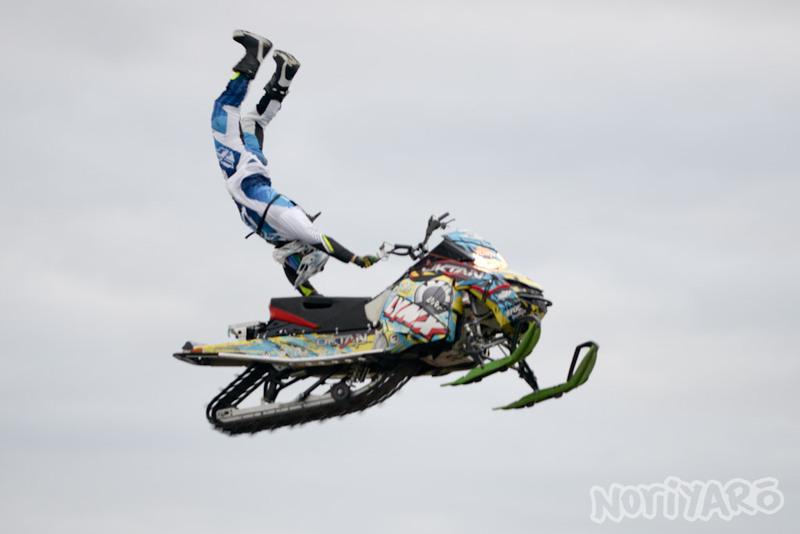 He was going nuts until he ended up crashing on the landing. That’s all from my trip with Tezuka to Sweden. I have a little bit of footage from my trip to Gatebil in Norway in July last year, so look forward to that in an upcoming video. Thanks for sharing! Yes Gatebil is insane. 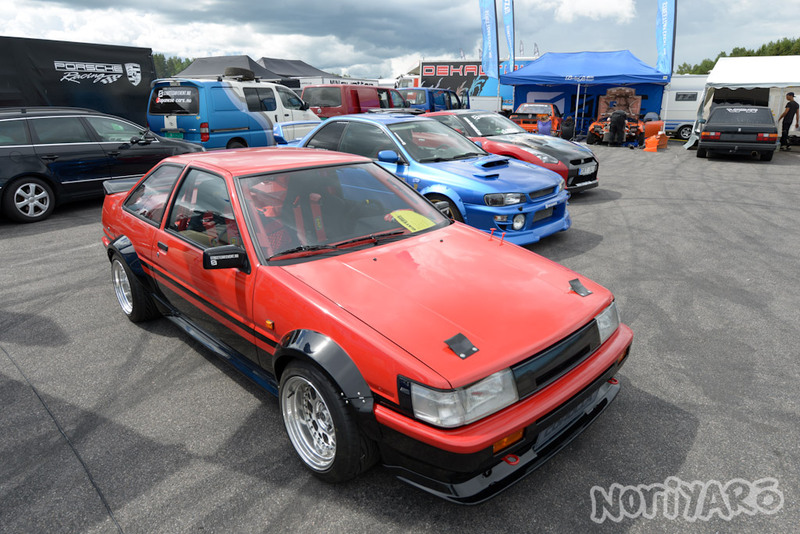 The AE86 is indeed very rare in Sweden as they were never sold in Sweden by Toyota. As a result many are nowadays imported from Denmark (3 door) or Germany (2 door).